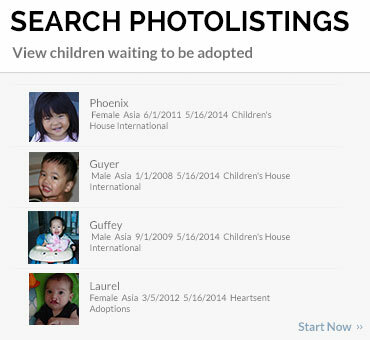 A Family in Bloom A Love Beyond Borders A New Arrival AAC Adoption and Family Network About A Child Across The World Adoptions Adopt Abroad Adopt International Adopting Angels Inc Adopting God's Children Adoption Associates, Inc. 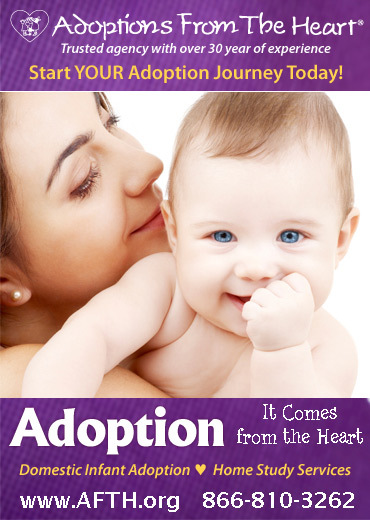 Adoption Avenues Agency Adoption Learning Partners Adoption STAR Adoption Today & Fostering Families Today Magazines Adoptions From The Heart Agape Adoptions AHOPE for Children All Age Adoptions Plus All Blessings International All God's Children International Alliance for Children America World Adoption Association Americans for African Adoption Inc AFAA Americans for International Aid & Adoption An Open Door Adoption Agency Angels Haven Outreach BAAS International Beth Anderson Bethany Christian Services Boys and Girls Aid Building Arizona Families Capri Carolina Adoption Services Catriona Catriona childs Children's Home Society of Minnesota Children's Hope International Children's House International Chinese Children Adoption International Cradle of Hope Dillon International, Inc Dillon Southwest Inc. 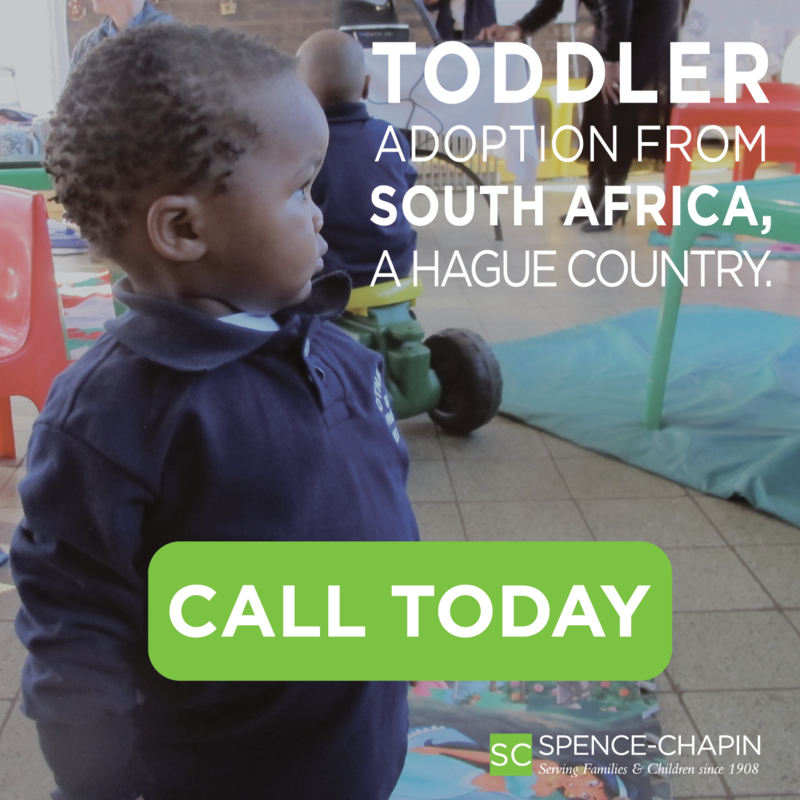 Embraced by Grace Embracing Children Adoption Services(formerly known as European Children Adoption Services) European Adoption Consultants, Inc. (EAC) Families Thru International Adoption Florida Foster Care Review For Every Child Frank Adoption Center Frontier Horizon Hosting Gladney Center for Adoption Global Adoption Services Inc Great Wall China Adoption & Children of All Nations Hand In Hand International Adoptions Hands Across The Water Inc Hawaii International Child Heartsent Adoptions Holt International Children's Services Hopscotch Adoptions, Inc Illien Adoptions International, Inc. International Adoption Net International Christian Adoptions JAA Jamie Gilmore Jennifer Renee Blossom Joe Perkowski Joseph Perkowski Joseph Perkowski Joshua Tree Adoptions, Inc. Journeys of the Heart Adoption Services Juli Kidsave KidsFirst Adoption Services LLC Kim La Vida International Life Adoption Services, Inc. Lifeline Children's Services Little Miracles International, Inc Living Hope Adoption Agency Lotus Travel Lutheran Social Service of Minnesota Lutheran Social Services of the South Inc Lutheran Social Services of Wisconsin and Upper Michigan, Inc. Madison Adoption Associates MLJ Adoptions New Beginnings International Children's and Family Services Nightlight Christian Adoptions One World Adoption Services Page Edmunds Perkowski RainbowKids Test Agency Saint Mary International Adoptions Spence-Chapin Adoption Services Test test The Adoption Medicine Clinic, University of Minnesota The Barker Adoption Foundation The Family Network Inc The University of Chicago Adoption Center Tree of Life Adoption Center Trudy hatten Trudyhatten Vista Del Mar WACAP World Association for Children and Parents Wasatch Adoptions Welcome House Adoption / Pearl S. Buck International West Sands Adoptions Wide Horizons for Children World Links Association, Inc. 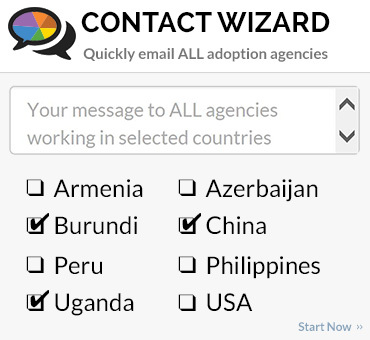 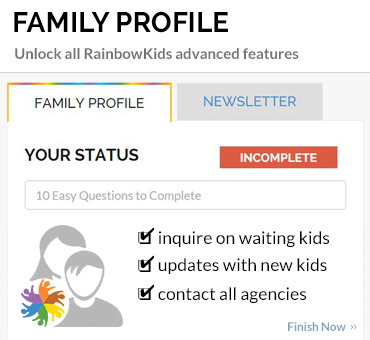 Subscribe to the RainbowKids newsletter and be first to know about newly added waiting children.